Hello my lovely guests! For many of you, you have been enjoying the summer break and have been in full swing for a few weeks, for me the "break" just started yesterday. My children just completed the last day of school and we are starting the first day of the summer break today! 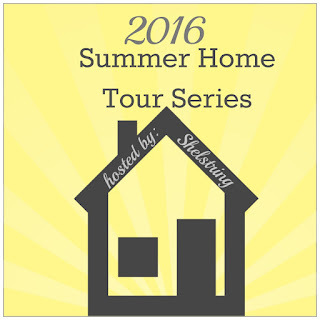 What better way to start my summer break than to introduce another wonderful home tour with you?! I'm so excited to intoduce Julie Nicholes to you today. She has a wonderful blog chalk full of amazing ideas at Love My Simple Home. 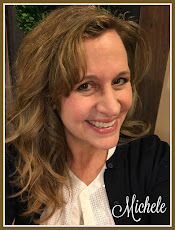 You will find the name of her blog very appropriate as you enjoy visiting and seeing all the inspiration she has to share on her journey of making her home a place she can truly say she loves. So, enough from me, let's move on to the tour, shall we?! I live in a coastal community on eastern Long Island. When summer rolls around I like to spend my days at the beach with family and friends. I use a simple no fuss, relaxed approach when decorating for summer. Come on in and I'll show you around. To welcome summer into our home I decorate with beach grass, seashells, fresh flowers and beach glass. Mason jars filled with these summer treasures hang on a wall vase. In our living room, I bring in the color blue to brighten up the dark sectional. A clam basket filled with lilacs sits on top of an antique coffee table. A couple of baskets are used for storage and as a casual side table. The gallery wall is changed every season. One of the biggest changes we made this year was to our fireplace. You can read about the redo here. This dramatically changed the whole look of our dining room. I can't tell you how Happy I am with my new farmhouse-coastal design. Driftwood sets the mood when decorating the shelves. I used driftwood as art by leaning a couple of pieces against the wall on the shelf. Cloches are a favorite of mine, you can put anything inside them. I placed a starfish found on the beach and a small rope inside. I like adding homemade items to my shelves. The driftwood sailboat, SEA sign and feather print on canvas were made by me. These are all simple changes to make for summer decorating. I brought in two chairs from our patio and sat them at the end of the table. No worries when sitting on these in a wet bathing suit. They are the perfect change for summer. On top of the buffet table sits a large glass jar filled with my collection of beach glass. Three clear glass bottles hold cotton stem branches and beach grass. Blue and white plates frame the window. You will always find hydrangeas in our home in the summer. This is my favorite nook to sit in the dining room. I placed a large mirror on top of a wooden TV tray to use as a side table. The cardboard box decorated with seashells is used as planter. The photo on the wall was taken by me. It is my favorite one of our daughter when she was a little. An antique medical cabinet sits on the opposite side of the dining room. It holds everything I need for summer entertaining! I use baskets in the summer to gather everything I need to bring outside to the patio. I hope I inspired you to make simple changes in your home for the summer months. Thank you Julie! I know I'm feeling inspired. I love all the summer touches and can almost smell the ocean and feel the cool breeze while touring your beautiful home! I just love all the coastal touches, how about the rest of you? Thank you everyone for enjoying this tour with me today. I so look forward to seeing you again next Friday when Amy Dowling from My Life from Home will be here to share with us! 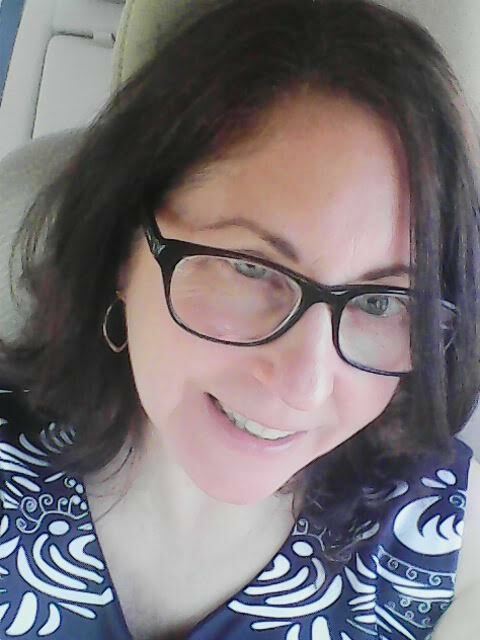 Please visit Julie and leave her a comment to let her know how much you enjoyed her beautiful home today! !